What’s green, tasty and is expected to be a hit at this year’s super bowl party? That’s coming up on This Land of Ours. 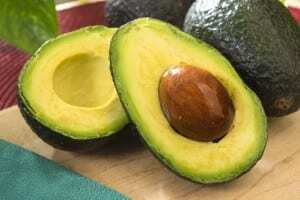 Though people think that avocado sales peak on holidays like the Fourth of July or Cinco de Mayo, avocados actually experience their greatest demand on Super Bowl Sunday. At $3 a pound, that means that more than $400 million will be spent on avocados. And, Americans will need about 14 million pounds of chips to dip and eat all of that guacamole. This total would be enough to fill a football field end zone more than 53 feet deep with avocados — 8 feet over the goal posts!